Dr Jengo's World: Diablo 3 - Necromancer Class, Original Diablo in D3 and more Blizzcon updates! Diablo 3 - Necromancer Class, Original Diablo in D3 and more Blizzcon updates! It's been a while since I played Diablo 3. With my PC crashing and my laptop barely able to support the game, last I touched D3 was when I had to rush through Season 6 just for the rewards. Subsequently, missed out on Season 7 and I thought I was pretty much done with the game. However, it seems like I will be getting back, with all the latest Blizzcon 2016 news! 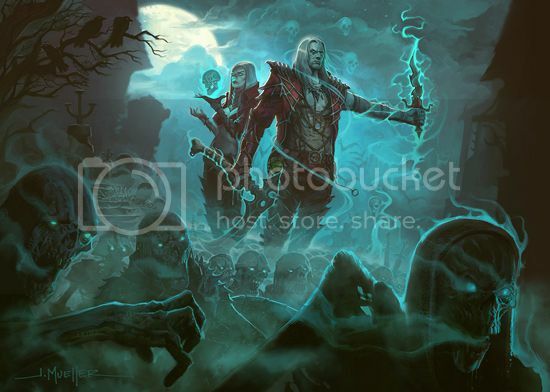 The Return of the Necromancer! The Necromancer will be a new playable class in Diablo 3, sometime in 2017. The Necromancer was my favourite class in Diablo 2 and I'm really stoked to see his return, although I'm a bit skeptical. I love summoner classes and I have been playing the Witch Doctor class in D3 mostly so I'm a bit worried the game-play is going to be too similar. Blizzard is aware of this and they are doing their best to differentiate the characters and I hope they pull it off. Here's some Q&A details about the new class.. This year marks the 20th anniversary of the release of the original Diablo game and Blizzard will be celebrating it with a special D3 event where players can play the original game re-created in Diablo 3's adventure mode. 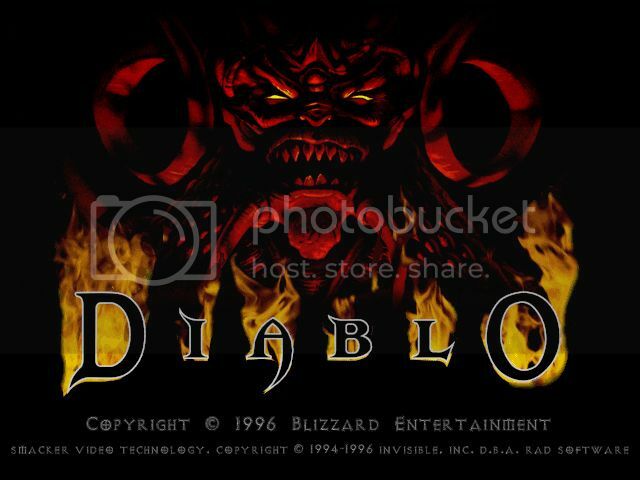 Diablo 1 was my first-ever proper game on my first PC. Unlike the lucky kids these days, I got my first-ever PC only when I was 13 and was allowed to choose only 1 game. Looking through all the different titles, and without the luxury of reviews, it was a tough decision but this game caught my eye. The parents were not too encouraging of a game which dealt with demons and sorcery, but were open-minded enough to let me 'kill demons', after much convincing.. It will be great to re-visit this game and definitely sweet memories of my first-ever dungeon-crawling and loot-hunting adventures! Can't wait for this! Armory will be a new feature in Diablo 3 coming in 2017. Basically, it will be a different type of stash that allows you to save up to 5 loadouts, which includes skills, passives, items & more! Definitely a cool feature for those who need to switch load-outs regularly. Might not be going back to D3 in full swing but will definitely want to try out these new content in 2017. Hopefully, I will be able to afford a PC by then!